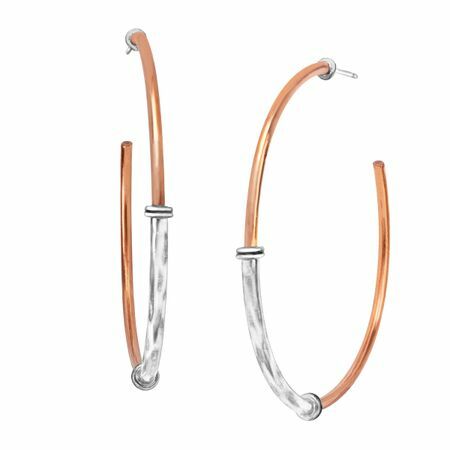 Keep your style simple with these two-toned hoop earrings. Three bands of alternating sterling silver and copper add a fabulous touch to any ensemble, whether you're rocking a fringe vest or a solid-colored blouse. Earrings measure 2 1/4 by 1/8 inches and feature posts with friction-backs. Pieces come with “.925” sterling silver stamps as symbols of guaranteed product quality.